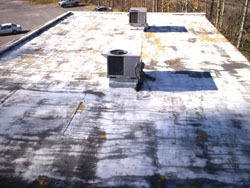 The Director of Development was unfamiliar with foam roof systems when asked to check into one of their locations that had been foamed roughly thirty years earlier according to his records. 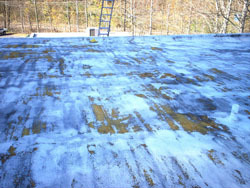 He came to us with pictures of his roof, realizing that it had not been properly maintained (as in never) and was showing its wear; even though the roof had never leaked. He was amazed at its history of performance and was interested in salvaging the roof and restoring it to its original condition if that was possible. 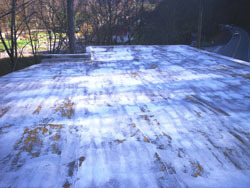 As we told the director, restoring his foam roof system was a relatively painless and inexpensive challenge compared to what he was used to with rubber and other roof systems. We did not need to tear it off “down to the deck”, did not need to replace coping and could do it in less than a week with minimal disruption to his business. We simply needed to scarify the old foam to a depth that would get him back to good foam, apply roughly one inch of new foam over it, apply coating and he would be good to go. We did suggest the addition of granules would provide him a number of benefits. 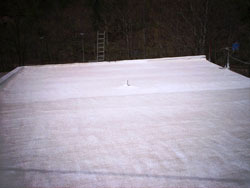 The old roof was scarified to remove the “burnt” foam and remove pitted surfaces. 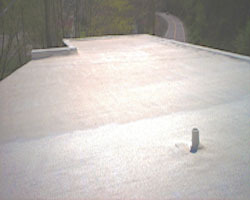 One inch of new foam was applied over the roof to replace the deteriorated foam. A/C units and all protrusions were sealed in and canting was done for all walls and protrusions to improve drainage. Two coats of Neogard Silicone were applied over the foam. 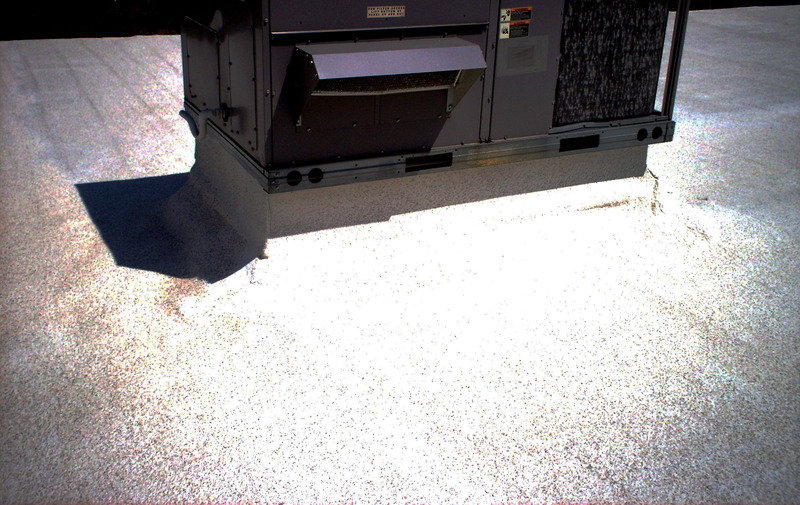 The customer elected to add the granules as suggested and granules were embedded into the top coat. The customer inspected the roof with Dave Lang and was thoroughly impressed with the appearance and functionality of the roof. 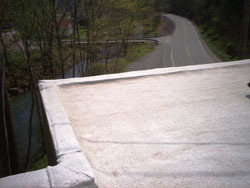 He was excited that protrusions and mechanical systems were sealed in without seams that could create potential future leaking problems and that the installed cants at parapet walls would help minimize the collection of leaves and trash on his roof. He also appreciated that the granules provided an excellent appearance as well as improved durability against nearby trees and windblown debris. The customer is checking back to evaluate the roof’s past energy performance compared with similar stores with other roof systems. 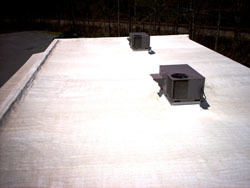 He has replaced another roof system at another location that he believes will be more useful to him in measuring the difference foam can make to his energy consumption.